This content originally appeared in the January-February print edition of Toy & Hobby Retailer. To be the first to access exclusive content like this, subscribe to the magazine here. E-commerce. Its power is undeniable. Improved convenience, delivery, return policies and check-out security in recent years have seen online shopping boom. According to Australia Post's most recent report into online shopping, online sales in 2017 were $21.3 billion – an increase of 18.7 per cent compared to the year before – and made up eight per cent of total bricks-and-mortar sales by the end of 2017. This is expected to continue to increase, with Australia Post predicting that one in 10 items will be bought online by 2020. Research from e-commerce platform, Neto, reaffirms this and says that Australians spend one in every $20 online. The research also says that the Toys and Hobbies industry in Australia is worth $942 million, with $70 million of that coming from online sales. Adopting an omni-channel approach has become vital for businesses to stay in contact with consumers in the current retail environment and toy retailers aren't shy when it comes to e-commerce, in fact, many of them have a web store alongside their brick-and-mortar presence. Consumer purchasing decisions are no longer made based on solely on what a retailer recommends. Customers have a wealth of information at their fingertips to help – and in some cases hinder – a purchase. Customer reviews and ratings; YouTube unboxing and review videos; influencer collaborations; the brand or business' social media accounts; peer recommendations; and, advertising campaigns is just a small selection of the information a consumer can access before they even think about getting to a store – be it online or bricks-and-mortar. Aussies are using this information at their disposal. The 2018 Omnichannel Buying Report released by BigCommerce, revealed that 48 per cent of the Australian respondents said that they visit a brand's website before they make a purchase in a store. Customer reviews are also highly influential in a purchase decision, with the 2018 Sensis social media report indicating that 68 per cent of Aussie respondents read approximately eight online reviews before making a purchase. BigCommerce group product manager, Jordan Sim, said that the Australian market is very different to the rest of the world. “In Australia, we’re seeing a huge shift in the retail industry. Consumers are calling for the barriers between online and in-store shopping to be broken down as they seek a smoother shopping experience across platforms. From the abundance of research, one thing is clear. Australian's like to shop in many different ways. Australian Bureau of Statistics' insights into traditional retail trade suggests that shopping in brick-and-mortar stores is still the dominant shopping method and maintains monthly growth turnover, albeit at small increments. However, online shopping is becoming more prominent and is growing at a faster rate. But what is really making waves in purchasing habits is the rise in mobile shopping (m-commerce). According to Australia Post research, one in five purchases are now made from a mobile device. Neto's State of Ecommerce Report 2018, indicates that Australian's like purchasing with their mobile, but can abandon a cart very quickly. “When it comes to consumer drivers of m-commerce, Australians said convenience (32 per cent), ease of use (23 per cent) and more shopping options (22 per cent) were the key reasons behind making more mobile payments in 2018. To make the shopping experience seamless and convert a sale, mobile shopping platform, Mobify, suggests that retailers should discover (through Google Analytics or the like) which pages are the most popular landing pages on their site and turn these into accelerated mobile pages (AMP) – pages that load instantaneously from search results – which will prevent customer drop-off. Mobify also says that retailers have less time than they think to engage mobile shoppers. According to the research, Google Analytics automatically defaults to the mean session duration (the average) in website audience reports, which can be skewed by those shoppers spending significantly more time on the site. To combat this, Mobify suggests that retailers need to instead look at the median (the middle) session duration to see where 50 per cent of customers end their session, to be able to intercept them before they leave. If a shopper abandons their cart, the Mobify research indicates that there's at least a 33 per cent chance they'll return within a week to finish the purchase. To optimise this, Mobify suggests that retailers should make adding a product to the cart as efficient as possible so mobile shoppers can complete a purchase without running into any distractions. The rise of m-commerce has only helped fuel shopping via social media too. Social commerce – shopping through social platforms – although still in relative infancy, is growing. Neto says that in 2018, close to one-in-five (19 per cent) Aussie consumers had made a purchase through a social channel in the past six months, an eight per cent increase compared to 2017. 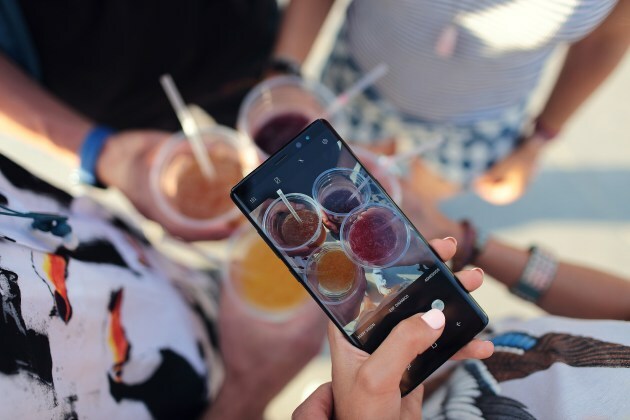 Social media also serves as a discovery tool for products, with Neto figures saying 22 per cent of Aussie consumers purchased an item after seeing it on social media, a number that jumps to 31 per cent for those aged 18-34. Facebook remains as the most popular platform to purchase through, followed by Instagram and Snapchat. 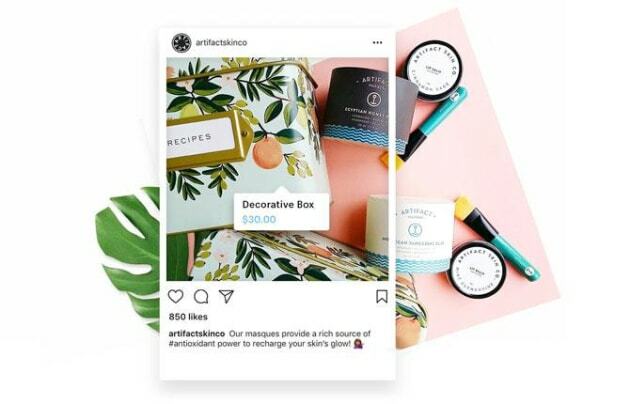 Recognising the rise in social commerce, Instragram updated its shopping tools in November, making it easier for consumers to browse and discover new products, shop their favourite brands and keep track of shopping inspiration in the app. Users can view all of a business' products by tapping the 'shop' button which brings up details including the item name, price and the post featuring the item. Instagram videos were also updated to become 'shoppable', with users now able to shop products shown in a video that appears on their feed. Aussie toy retailers can make use of this knowledge by enabling shopping features across social media channels to streamline the shopping experience. However, sales might not eventuate if the business doesn’t have a strong following or the content mix isn’t relatable or relevant to the brand. Global industry principal, social selling at Hootsuite – a social media scheduling platform – Koka Sexton, says that visibility on socials is key to opening up dialogues with followers. “Visibility creates opportunities. In my experience, the more visible you are in channels, the more opportunities will find you. “You need to have content out there to gain visibility. I personally post six to eight updates on LinkedIn, Twitter and Facebook a day. In terms of content, Sexton uses a 4-1-1 formula. Sexton also says that industry news or events can be used to start conversations and post content. “Look for trigger events to start conversations with decision makers. Create a search stream [for brands or businesses you’d like to connect with]. 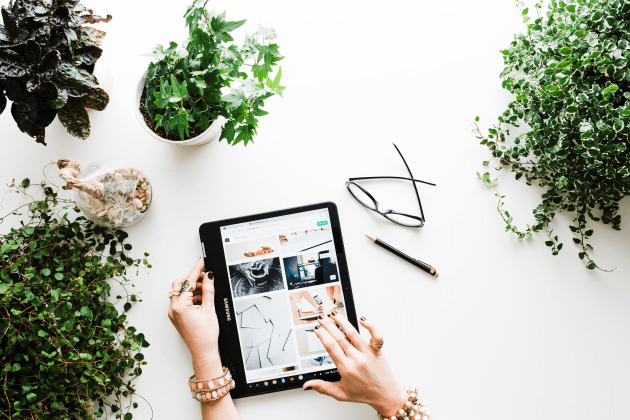 These decision makers can be other businesses you want to connect with and sell into, or a consumer who makes the decision about a purchase. Followers – from businesses or the general public – appreciate a strong brand identity across social platforms and expect that the businesses they follow will be informed and up-to-date about not only industry news, but wider general news. Social media consultant, speaker and trainer, Mari Smith, reaffirms this and says to help strengthen a brand identity, businesses need to find content that works especially well for them. “Find your unicorn content. This is the content that you’ve discovered really works. “A big mistake is that people have a hit. But then they move on to the next idea. “Once you find a piece of unicorn content, you need to put it to work. Update it. Refresh it. Do a yearly revision. Do a video version,” she says. This article is part one of a two part series.